3) Write or fax your member of Congress. 1. Calls for the development of improved “screening and diagnostic techniques” with no specification if these are to be strictly psychological (in other words, questionnaires based upon a DSM checklist). So there is no credible evidence that women will be checked for physical conditions such as thyroid conditions, hormonal imbalances or other real physical conditions. So considering postpartum depression is usually considered a “mental” condition, this means that the government will now be funding free psycho/pharma ads for the mental health industry. Coincidentally – there are currently 50 clinical drug trials ongoing for the “treatment” of postpartum depression. In other words – this could turn into a big money maker for Pharma – with government-sanctioned PSAs and drugs promoted to specifically “treat” postpartum depression (that are already in the pipeline). What does all of this mean? It means more women put on drugs. It means more infants subjected to drugs. Regardless of the hype from the psycho/pharma industry and many groups with vested interests in pushing this agenda – more screening and more drugs being promoted to treat “postpartum” depression means more mothers on drugs – both during and after pregnancy. 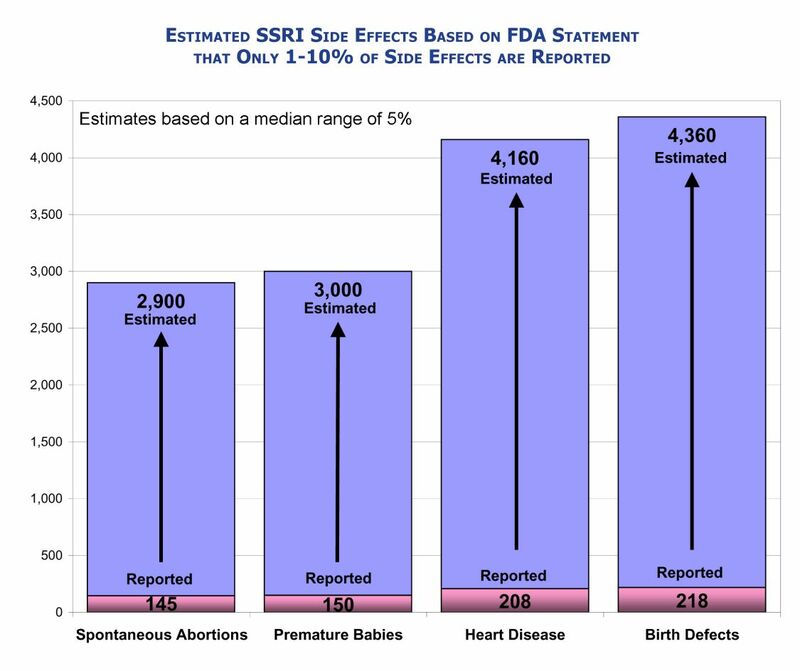 Already, doctors, pharmacists, health care providers and consumers have filed reports with the FDA on the serious damage and deaths to infants caused by pregnant women taking these drugs. 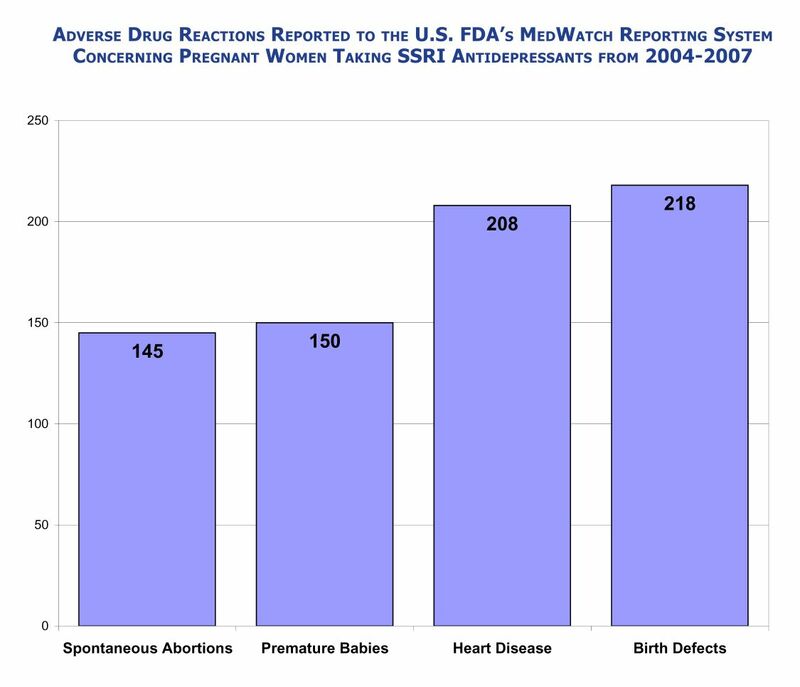 The graph below shows the reported adverse reactions in pregnant mothers taking SSRI antidepressants between 2004 and 2007. Look at the figures. Now multiply them by one hundred. Because, by the FDA’s own admission, only 1-10% of the actual side effects are ever reported to the FDA. If you ever wanted a time to step up to the plate and make a real difference, you have it. Because the time is now.